Reuters, Auteur à Africa M.E. 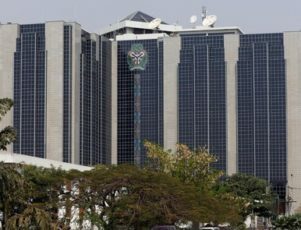 LONDON (Reuters) – The Nigerian central bank’s monetary policy committee will finally meet on Wednesday to set interest rates for the first time this year. Interest rates have been stuck at a record high of 14 percent since July 2016. However, the committee had to cancel its January meeting due to an inability to form a quorum following a number of departures that reduced it to just five out of 12 members. A majority of analysts taking part in a Reuters poll said they expected rates to stay on hold for now, but that they would be cut later in the year. Here are three graphics showing Nigeria’s changing economic dynamics. The pace of inflation has steadily slowed since the start of 2017, with the core reading hovering close to the 12 percent mark. And with exchange rates fairly stable and demand-related pressures absent, inflation rates could be sinking further, making Nigeria ripe for easier monetary policy. “After a year of lethargic disinflation, the drop in headline inflation to 14.3 percent in February 2018 ignites hope that inflation is still on a steady course towards the target 9.0 percent ceiling and that conditions could continue improving to favour unwinding the present hawkish monetary stance,” StratLink wrote in a note to clients. Nigeria returned to growth in 2017 with the economy expanding 0.83 percent after shrinking by 1.58 percent in 2016, which was its first annual contraction in 25 years. However, latest growth figures are still well below its potential, the recovery has been fragile, and private sector credit lending lacklustre. Political stalemate has been a common occurrence in Nigeria and has hampered reforms, while lawmakers still have to pass the 2018 budget. But with elections coming up in 2019, the heat is on for policy makers to help stimulate growth. 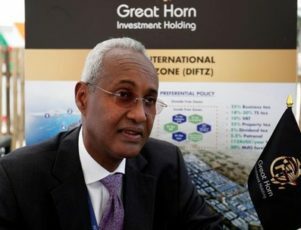 “The main focus will be to try and do something positive to the economy, to try to kickstart bank lending to the economy against a very weak backdrop, where the budget has not been passed and money supply is weak,” said Razia Khan, chief economist for Africa at Standard Chartered. Meanwhile a recovery in oil prices, successful debt sales including rolling local into external debt, and a significant amount of portfolio investment have helped replenish the central bank’s coffers. In March, foreign exchange reserves stood at $46.2 billion – a near 9 percent jump month-on-month. Nigeria’s foreign exchange buffer has climbed 53 percent since March 2017 when it stood at $30.30 billion – though reserves remain far from the peak of $64 billion in August 2008. PRETORIA (Reuters) – South Africa’s central bank cut its main interest rate to 6.5 percent on Wednesday, in another boost for the economy after ratings agency Moody’s left intact its last investment-grade credit rating. Traders and economists had expected the 25 basis-point cut in the repo rate after a slowdown in consumer price inflation to 4.0 percent in February, which put price growth well within the central bank’s 3-6 percent target range. 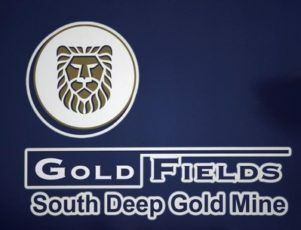 It was the first easing step since July and comes as South Africa rides a wave of investor optimism in the wake of President Cyril Ramaphosa replacing scandal-plagued Jacob Zuma as head of state in February. The rand fell, however, as the rate cut dents somewhat the appeal of local assets versus developed-market peers. Banking stocks also fell. 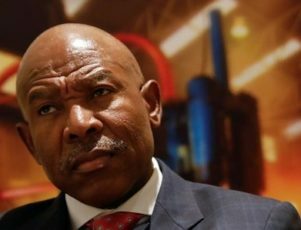 South African Reserve Bank Governor Lesetja Kganyago told a news conference that inflation risks had subsided somewhat since January and that the bank had raised its economic growth forecast for this year to 1.7 percent from 1.4 percent. But he said that the bank had not started “a journey of cutting” and that the future path of the repo rate would depend on data. 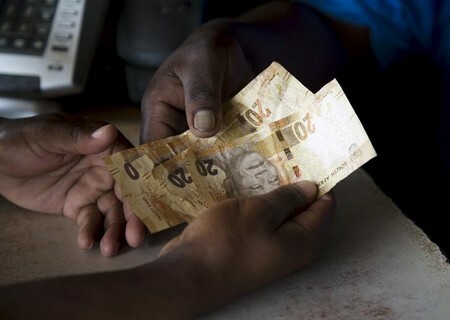 Four members of the Monetary Policy Committee voted to cut the rate while three wanted to keep it on hold, Kganyago said. There was no discussion of a more aggressive 50 basis-point rate cut. Despite the central bank’s broadly upbeat tone, Kganyago said that the growth outlook remained relatively constrained and that the policy-setting committee would prefer to see inflation expectations anchored closer to the midpoint of its target range. Analysts said they were not expecting to see a flurry of further rate cuts. Razia Khan, an Africa-focused economist at Standard Chartered, said: “We think that today’s 25 basis-point cut was probably it in terms of South Africa’s easing cycle”. Moody’s said on Friday that it expected to see a strengthening of South Africa’s institutions under Ramaphosa which could translate into greater economic and fiscal strength. S&P Global, another of the “big three” ratings agencies, said it wanted to see stronger per capita growth before it would consider raising its credit rating. LUANDA/LONDON (Reuters) – The $500 million at the centre of an alleged fraud involving the son of Angola’s former president was transferred out of a Standard Chartered account held by Angola’s central bank, the British bank told Reuters on Wednesday. 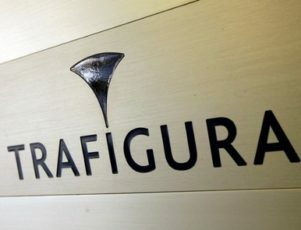 The Angolan prosecutor general’s office said on Monday it had charged Jose Filomeno dos Santos, the former president’s son, and Valter Filipe da Silva, the former governor of the central bank known as Banco Nacional de Angola, with fraud over the case. Britain’s National Crime Agency said last week that $500 million had been frozen in the UK as part of an investigation into a potential fraud against Angola’s central bank and could be returned to the southern African country. “We are aware that our client, Banco Nacional de Angola (BNA), was the victim of an attempted fraud in Angola which involved the transfer of funds from their Standard Chartered Bank account,” Standard Chartered said in an emailed response to questions. The bank did not respond to a question on how the transaction appeared to bypass security mechanisms. 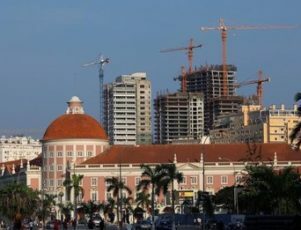 The Angolan central bank, which has so far made no public statement about the case, did not immediately respond to a request for comment. Dos Santos is the highest profile figure charged since President Joao Lourenco succeeded longtime leader Jose Eduardo dos Santos last September pledging to tackle an endemic culture of corruption in the oil-producing country. Reuters was unable to immediately contact Jose Filomeno dos Santos. 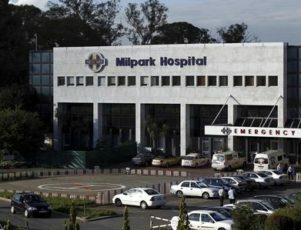 He said in a statement circulated in Angolan media on Tuesday that he was cooperating with the investigation and had handed his passports in to the prosecutor general’s office. Reuters has also been unable to reach Da Silva for comment. Standard Chartered said it is closely cooperating with Angola’s central bank and British law enforcement. A source familiar with the matter told Reuters on Wednesday that HSBC had frozen a bank account in connection with the alleged fraud. The Financial Times, which reported the HSBC bank freeze earlier, said documents purporting to be from Swiss bank Credit Suisse were also used in the fraud. The documents were fake and Credit Suisse was not involved in the transaction, a source familiar with the matter told Reuters. Britain’s National Crime Agency said the funds were frozen after the transaction raised suspicions, without naming the banks involved. Standard Chartered, which has operations across Asia and Africa, ended its dollar-clearing operations with commercial banks in Angola in Dec. 2015 because it deemed it too risky. Singapore said last week its central bank had imposed penalties of nearly $5 million on Standard Chartered Bank and Standard Chartered Trust (Singapore) for breaching money laundering rules and terrorism financing safeguards. HSBC’s move to freeze the accounts and work with authorities to return the funds will reinforce the lender’s assertion that its efforts to improve financial controls are bearing fruit. The bank paid $1.9 billion in fines to U.S. authorities in 2012 and agreed to install an independent monitor to improve its anti-money laundering controls, after it was used to launder Mexican cartel drug money. A five-year period in which the bank faced criminal prosecution if it breached U.S. compliance rules again ended in December. 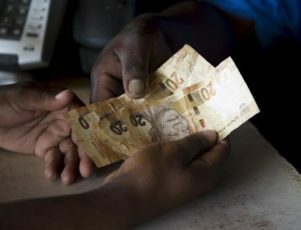 JOHANNESBURG (Reuters) – South Africa’s rand raced to a one-month high against the dollar on Monday and government bonds firmed as investors cheered Moody’s decision to change the country’s credit outlook to stable from negative while affirming an investment-grade rating. 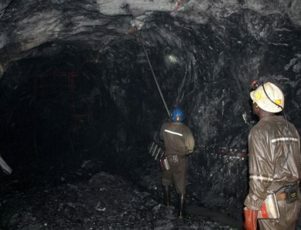 Moody’s late on Friday affirmed South Africa’s debt at ‘Baa3’, the lowest rung of investment grade, saying the previous weakening of national institutions was gradually reversing which supported an economic recovery. 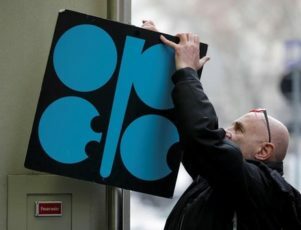 While the decision to affirm the rating was widely anticipated by market participants and largely priced in, the unexpected move to revise the rating outlook boosted markets. At 0850 GMT, the rand traded at 11.6400 per dollar, 0.94 percent firmer than its New York close on Friday and its firmest level since Feb. 27, Thomson Reuters data showed. In fixed income, the yield for the benchmark government bond due in 2026 dipped 10 basis points to 7.89 percent, reflecting firmer bond prices. “What surprised markets on Friday is that Moody’s upgraded the rating outlook from negative to stable – which means that a downgrade is no longer likely even in the medium-term, unless of course new developments overtake us,” Commerzbank analysts said. On the bourse, banks bucked the weaker trend on the broader market, rising 0.65 percent with FirstRand up 0.8 percent to 69.26 rand. Banks, considered the barometer of both political and economic sentiment, have largely borne the brunt of previous credit ratings downgrades given their substantial exposure to sovereign debt and various state-owned companies. A downgrade to a “junk” rating by Moody’s would have seen South Africa removed from Citi’s World Government Bond Index (WGBI) and could have triggered up to 100 billion rand ($8.58 billion) in asset sales by foreign investors. Moody’s is the only major ratings agency that rates South African debt as investment grade after S&P Global Ratings and Fitch downgraded the sovereign to “junk” status last year following a deterioration in the country’s economic outlook. 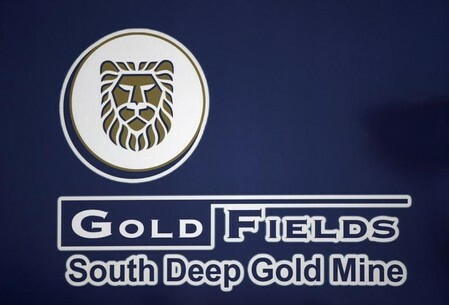 South Africa has this year seen a return of sorely needed investor confidence since President Cyril Ramaphosa replaced scandal-plagued Jacob Zuma, who resigned in mid-February on the orders of the ruling African National Congress party. Moody’s decision was likely to influence decision making at the three-day meeting of the South African Reserve Bank (SARB) Monetary Policy Committee, which starts on Monday, Nedbank analysts said. The interest rates decision will be announced on Wednesday. As consumer price inflation eases, a Reuters poll conducted before Moody’s review showed markets expect the central bank to cut its repo rate by 25 basis points to 6.50 percent to stimulate economic growth. Forward rate agreements were on Monday pricing in a 94 percent chance of a 25 basis points rate cut in the benchmark lending rate, up from an 80 percent chance two weeks ago.